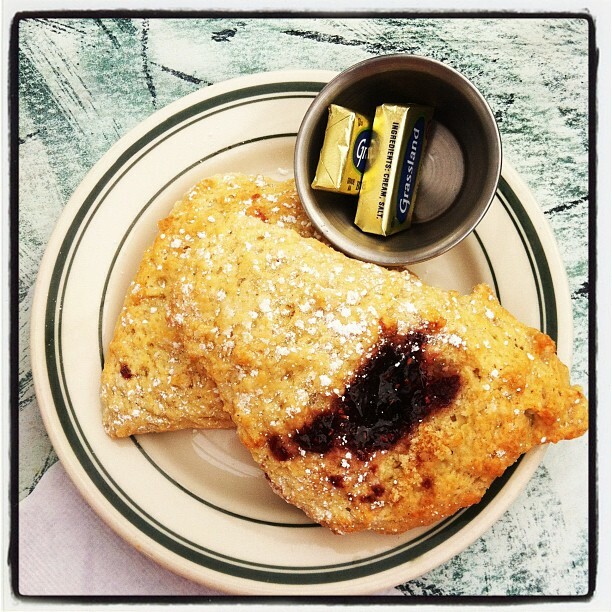 Fresh made raspberry scones come with every order. Left // Farmer's Breakfast :: Rosemary red potatoes with tomatoes, onions & green bell peppers. Topped with melted Tillamook cheddar & two poached eggs. Right // Louisiana Scramble :: Green bell peppers, red bell peppers, onions & mushroom scramble with pecan praline bacon & cheesy grits. What are some of your favorite PDX breakfast spots? Oh my that looks delish. I love to eat at Mothers Bistro, Beesaws, Jam on Hawthorne and Slappy Cakes when looking for breakfast in Portland. Oh my gosh ... thanks to these pictures, my tummy is now grumbling, lol. Discovering new places to eat is always fun! Wow Holls this brunch looks AWESOME!